A generation after the Bavarian brewer Joseph Groll created the first Pilsner beer in Europe, the golden lager was introduced to Mexico by Cerveceria Cruz Blanca in 1869. Yet today, one cannot think of Mexico without thinking of golden ice cold Mexican cerveza. 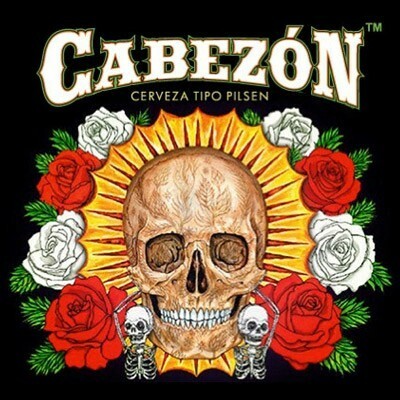 El Cabezón is brewed respecLul of its original stylistic roots, using 100% malted barley (no adjuncts) and smooth aromatic Noble hops for an authentic European hop aroma and bitterness. A big aromatic and flavorful lager beer yet crisp and clean flavored and refreshing enough for consumers to enjoy several without becoming satiated. Experience the wonderful old world hop bouquet; traditional bready pils malt flavor, and clean balancing dryness. Ahh, this is lager beer the way it should be.